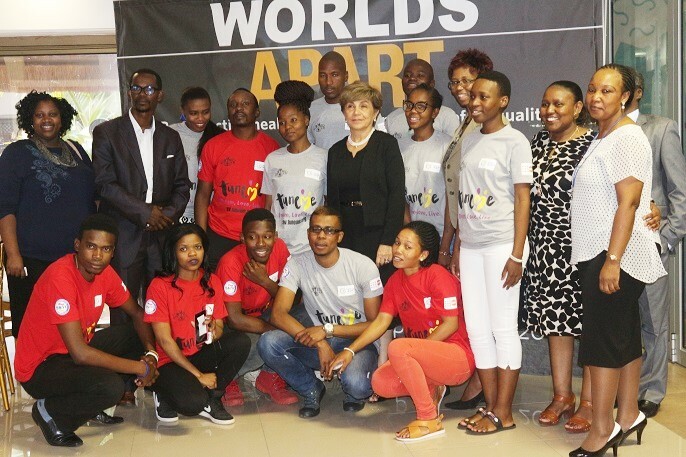 Worlds Apart Reproductive health and rights in an age of inequality the State of World Population Report was officially launched by the Minister of Economic Planning and Development, Prince Hlangusemphi on 26th October, 2017 at an event attended by Government officials, civil society partners, UN agencies, young people and the media. The State of World Population 2017 is focusing on inequalities in reproductive health and rights and how addressing these inequalities could contribute to the achievement of sustainable goal 1 on the elimination of poverty. 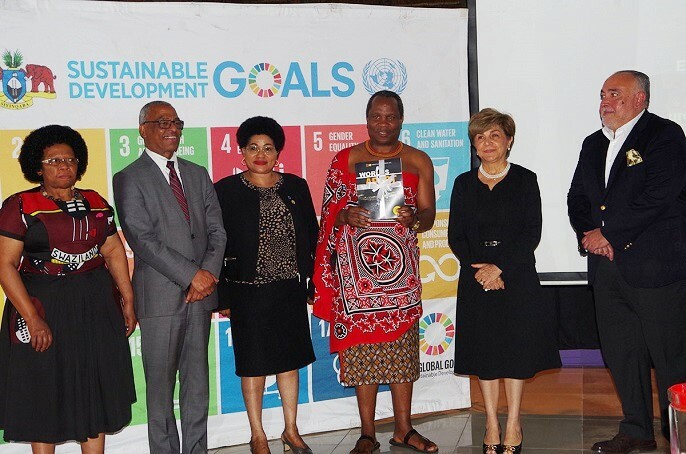 Making his remarks, the Minister noted that unmet need among Swazi women who are uneducated was highest at 20 percent compared with only 6 percent among women with tertiary level education. In the spirit of 2030 agenda on the SDGs of leaving no one behind, the Minister stated “our greatest concern as a nation are women and adolescent girls who are impoverished, least educated and who live in rural areas”. He further emphasized that decisions on reproductive health should not be made by men only but in consultation with their partners. He decried the spread of gender based violence especially against women and children and called on men not to beat their partners. 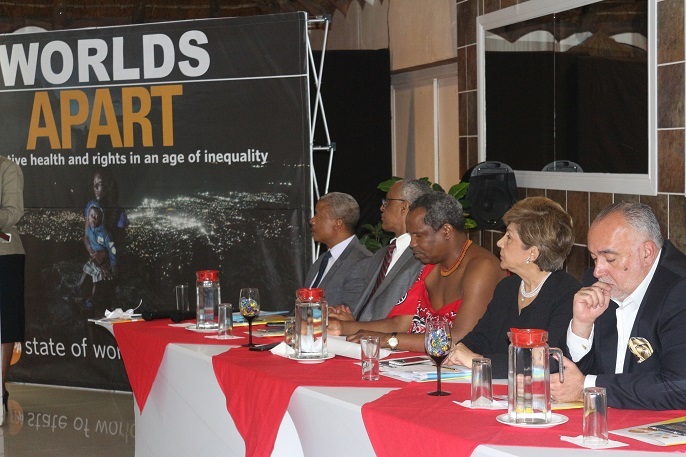 Speaking at the launch, the UNFPA Representative, Sharareh Amirkhalili also noted that inequalities remain persistently high particularly among the poorest young women. She noted that in Swaziland adolescent birth rate among adolescents with high school education is 53 births per 1000 adolescent girls whilst the rate more than doubles among adolescent girls with only primary school education at 141 births per 1000 adolescent girls age 15 to 19. She stated that this was one of the examples of inequality in access to reproductive health and rights. Quoting from UNFPA Executive Director Dr. Natalia Kanem’s statement on the global launch of SWOP, UNFPA Representative, further reiterated that working with other United Nations agencies, partners and governments, UNFPA is committed to a future where zero is the only acceptable number: zero maternal deaths, zero unintended pregnancies and zero gender-based violence and harmful practices, including female genital mutilation and child marriage. 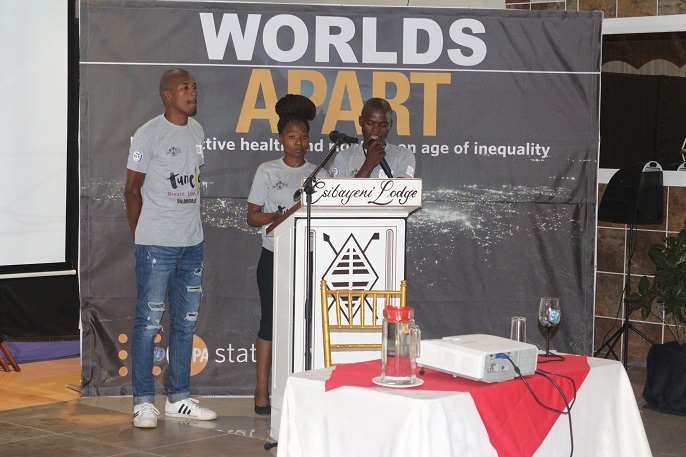 Adding their voice to the message of the day, three young people shared their experiences in accessing SRHR services and information in hospitals. Nineteen year old Nonkululeko Mabuza shared that as young people they sometimes have difficulties with the long ques in hospitals. In her words: "sometimes we have difficulties communicating with foreign health care workers because some of us do not speak English. Whilst Tune Me is a fantastic platform to reach out to adolescents and Youth, some young people, especially those from a poor background were still excluded from benefitting from this platform due to the resources needed to get a smart phone and access to the internet”.